Establish a Latin American initiative to maximise the effective use of the information exchanged under the international tax transparency standards to tackle tax evasion, corruption and other financial crimes. Explore further means of cooperation including wider use of the information provided through exchange of tax information channels for other law enforcement purposes as permitted under the multilateral Convention on Mutual Administrative Assistance in Tax Matters and domestic laws, and also effective and real-time access to beneficial ownership information. Establish national action plans to further the cooperation objectives and have representatives report on the progress made at the next plenary meeting of the Global Forum. 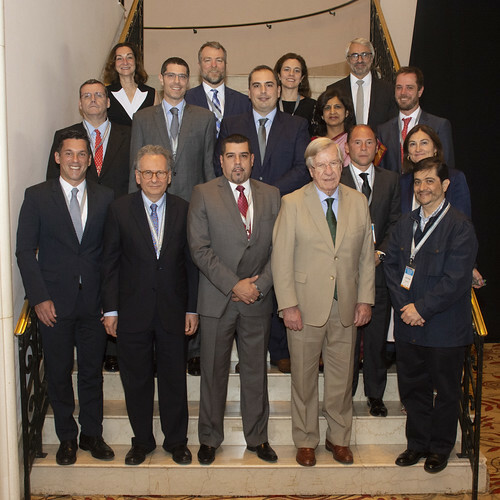 At the meeting, hosted by Uruguay in the margins of the 11th Global Forum Plenary, the gathered officials also encouraged other interested jurisdictions to join the regional initiative, with additional signatures anticipated in the near future. For further information, journalists should contact Pascal Saint-Amans, Director of the OECD Centre for Tax Policy and Administration, (+33 6 2630 4923), Monica Bhatia, Head of the Global Forum Secretariat (+ 33 6 10140422).